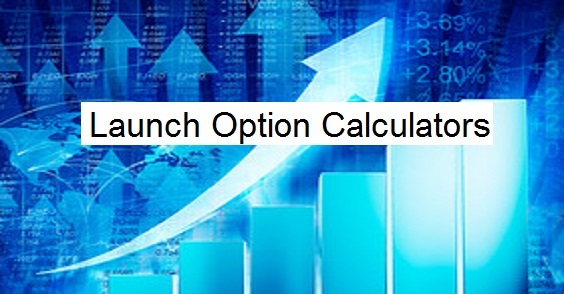 OptionMath.com offers two option calculators. The first, the basic calculator, takes your input values, including volatility, and generates a theoretical value of both put and call options. The volatility input to any option pricing model is the critical input. All the other inputs (current undelrying stock price, strike price of the option, time to expiration, dividends, and risk free rate of return) are either knowable of observable. But volatility is anyones guess. Just because XYZ	stock	has	a	historical	volatility of 20% doesn't mean it's going to display volatilitiy of 20% for the term of the opiton you're considering. Volatility may not be knowable but options trade nonetheless. That means we can take the knowable and observable inputs as well as the observable price at which the option is currently trading and "reverse engineer" the volatility that is assumed by that option price. This "implied volatility" is the market's best guess for the volatility the underlying stock will exhibit during the term of the option. The calculators are in the form of an Excel spreadsheet so that you can "take them with you". They use the Black Scholes model which is technically intended for options that can only be exercised at expiration while most options can actually be exercised at any time but early exercise is rare - becasue other then when a dividend is looming - because it's a mistake. The difference in values generated for the two types of options is very small, certainly too small to worry about in our usage. The first page inlcudes notes on usage. The second page, Option Price Calculator, will generate a theoretical option value given all the inputs required including volatility for the term of the option. Enter the inputs in the dark blue cells. Option values and greeks are generated in the light blue cells below. The thrid page, Implied Volatility Calculator, will return the volatility implied by the observed option price. Since option prices can be stale if they haven't traded in a few minutes it's best to use a closing price or the average of the bid and ask price for an intraday calculation. Be sure to select the option type, c for call, p for put. If you'd like to evaluate a hypothetical option then feel free to make changes to the date fields. For example, if you'd like to see how the greeks change as time to expiration goes from 30 days to expiration change the expiration date to today's date plus the number of days to expiration. When calculating the theoretical price, greeks, or implied volatilites for a spread simply calculate the information for each leg and then calculate the net for the spread. This will help you recognize how a spread or combination interacts. Check back as we're adding specific calculation pages for specific spread types. Feel free to email us at Information@Nations.com if you have questions about the books, the calculators, or options in general.